Getting through the real estate agent certification process can be the culmination of a lot of hard work studying, going to night classes and making a substantial time commitment to learning an entirely new craft. For many, a career as a real estate agent comes as a second or third career path and that can involve making some sacrifices to pursue an entirely new path in life. Now that you’ve got your real estate license in hand and perhaps a job with a company that will help you as you start out with some cold call responsibilities, you are ready to go about the lengthy process of promoting yourself in order to get the right to promote the homes of others. Business cards and handshakes will get you a long way in life, but as you just start out, you will need an extra bit of effort to get the job done. The prominent real estate agents in your area most likely got their start the same way you have. You have a lot of ambition to carve out a living as a real estate agent without the notoriety to get a lot of activity for yourself. They were prompted to go through the process of hanging door hangers, sending out postcards and pursing signage to gain a name for themselves. They obviously got to a position of power in the real estate industry in your area and you can too by getting your nose to the ground and going through the same set of steps. Initial marketing efforts may not turn up a lot of activity, but it only takes a few deals (and the money those deals bring in) to slowly build a reputation (and nest egg) to supplement your current marketing efforts. As more and more potential buyers use the Internet as a resource for real estate needs, the real estate agents that embrace the Internet as a way to market themselves will only see more activity through web-based marketing activities. These techniques vary greatly in terms of size and scope, but simply establishing a net presence (even if it is simply on your company’s web site) is the first step in any technique. For a more advanced strategy, more and more real estate agents are developing full sites of their own that go beyond simple contact information and begins to incorporate reviews of past work, articles to demonstrate knowledge in real estate topics and other resources to draw traffic that can turn into potential customers. 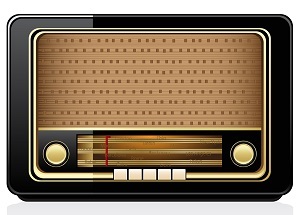 Radio and television advertising can be very effective in building a reputation of credibility and garnering a lot of interest in your services. However, even those that are extremely successful in real estate sometimes shy away from it as too mainstream, too expensive and lacking in enough reward to justify the risk involved. The expense in radio and television advertising usually relegates it to entire companies rather than a single real estate agent. Investigate with your company about the prospect of including your listings among those used in prominent advertising techniques. Usually the cost is shared amongst real estate agents in these situations, driving the cost down and giving even those real estate agents smaller in prominence the chance to have their wares shown in a mainstream media message. No matter how you choose to go about marketing yourself, keep in mind that it takes a substantial amount of effort to gain traction in what is probably a crowded real estate market in your area. As you go through the process of intense initial marketing, keep it mind that it only takes one deal often times to pay for your marketing efforts. Best of luck.